It used to be easy to download any movie from the internet. Those times were over once copyright laws became stricter. Now it’s much harder to download movies for free to your computer, especially if you want to get the full version. But don’t get bent out of shape! In this article we’ll reveal to you the secret of what software you can use instead of an offline movie downloader. 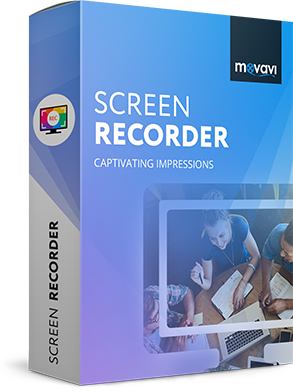 First of all, take a look at Movavi Screen Recorder, which helps you record the latest in cinematography to your PC. With this program, there’s no need to hunt down the best way to download HD and MP4 movies. Movavi offers something that’s more attractive than a simple film downloader. To use the Movavi program as a movie downloader, follow the guide below. DownloadDownload Movavi Screen Recorder and launch the installation file. Follow the onscreen instructions. There’re many settings you can change before recording. For instance, you can resize the screen area to be captured or set up interactive effects for the cursor. Go to Preferences to disable frame blinking during capture, enable sound notifications or capture multiple independent streams. You can even schedule recording if your movie starts at a particular time. 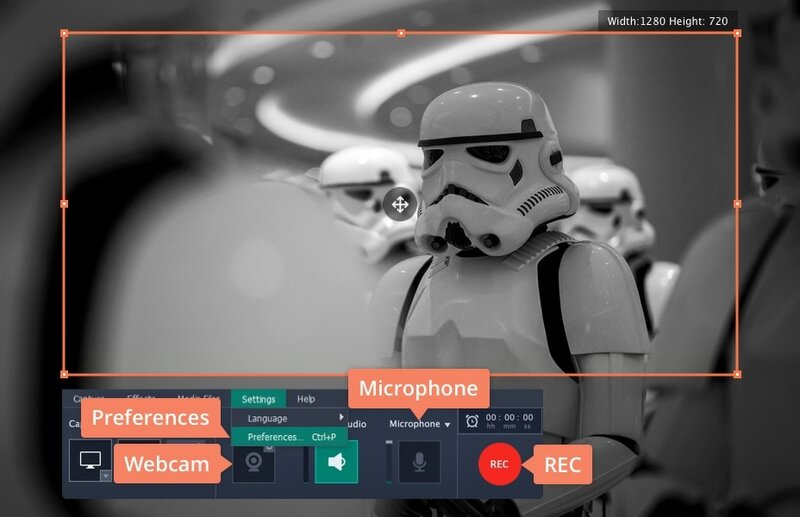 Turn off Webcam and Microphone to keep unnecessary sounds and images out of the video. Hit the REC button to launch the recording process. If you need to take a break, press Pause on the capture panel. You can also use hotkeys: F9 to Pause and F10 to Stop for Windows; ⌥ ⌘ 1 and ⌥ ⌘ 2 for MacOS, respectively. When the film is over, stop recording. 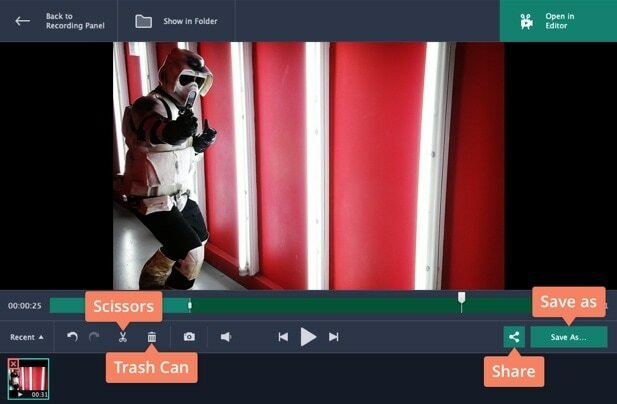 In the preview window, you can edit the video. This function is useful if you want to cut out closing credits or shorten the beginning of the movie. Use the Scissors button for cutting and the Trash can tool for deleting. One other great option is to upload the recording to the cloud before you save it. 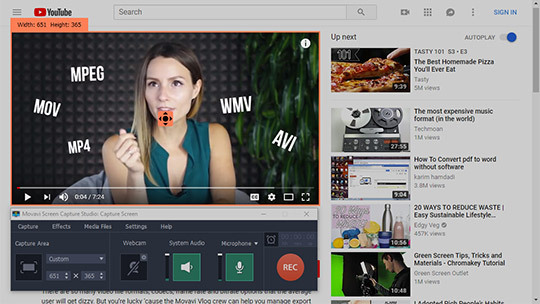 Click on the Share icon and choose the Movavi Cloud or YouTube. If you need to have the video on your local hard drive, skip sharing and click Save As. Choose the format for the recording, name the file and click Save. The movie is now on your hard disk. Enjoy! How to capture videos from sites? 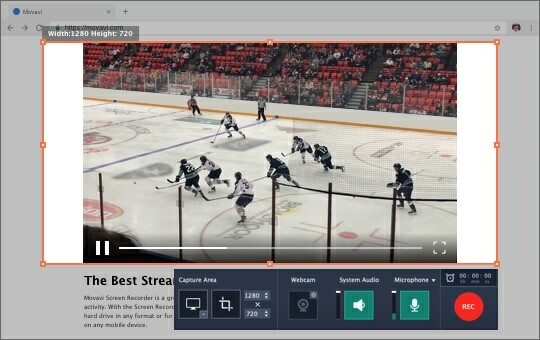 How to download sreaming videos on PC? 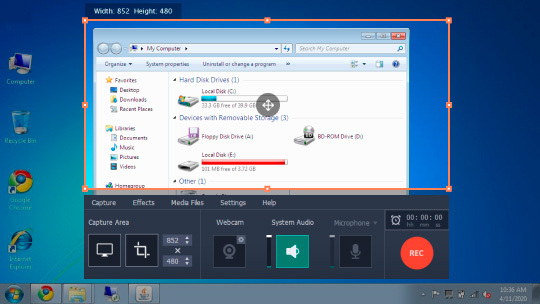 How to record screen on Windows 7? An alternative movie downloading app for PC is Screen Recorder Lite. The name of the program speaks for itself – it has a user friendly, simple interface and intuitive controls. Screen Recorder Lite is currently available only for Windows. 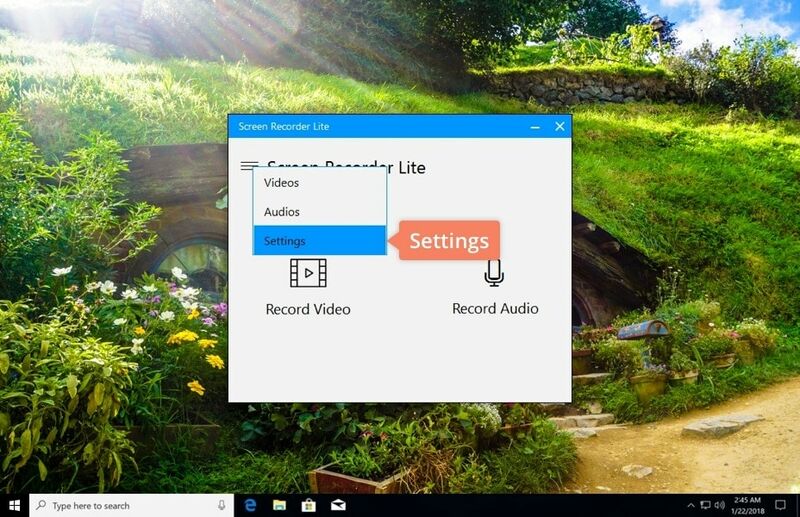 Open the Microsoft Store on your PC and choose Screen Recorder Lite from the application list. Download it for free and follow the installation guide. Once you launch the program, it will offer you the option to start recording immediately. In the top left corner, open the More menu and go to Settings. Here you can set up the format for the recording. Notice that there are just two options for video – MP4 and WMV. Go back to Videos and click on Recording New Video. 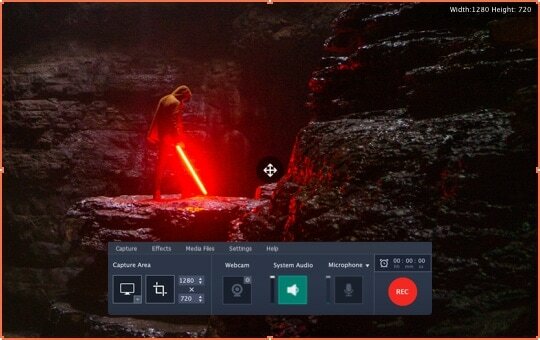 The blue capture panel will appear. Using the cursor, move it to the bottom of the screen, so it won’t intrude into the image. Screen Recorder Lite doesn’t let you pause during recording – you can only start and stop the process. Another thing you have to be aware of is the capture area – the full screen will be recorded. 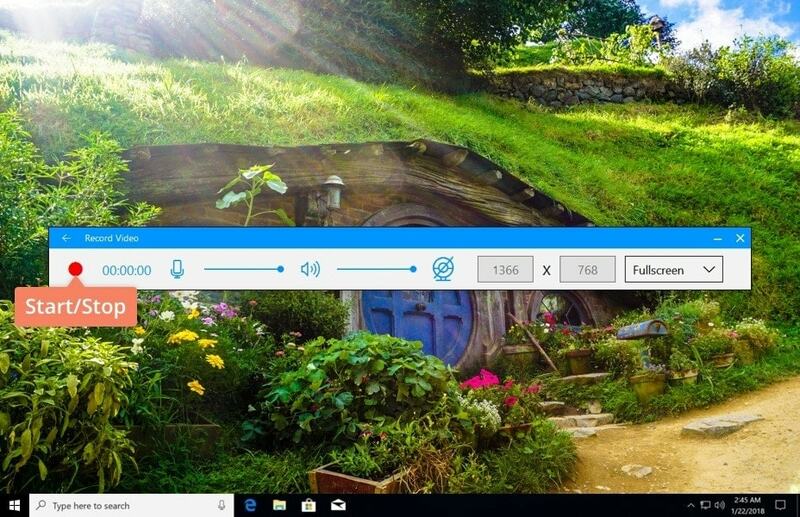 Check that you’ve turned off notifications and closed any unnecessary windows before pressing the Start Recording button, so nothing will spoil the result. 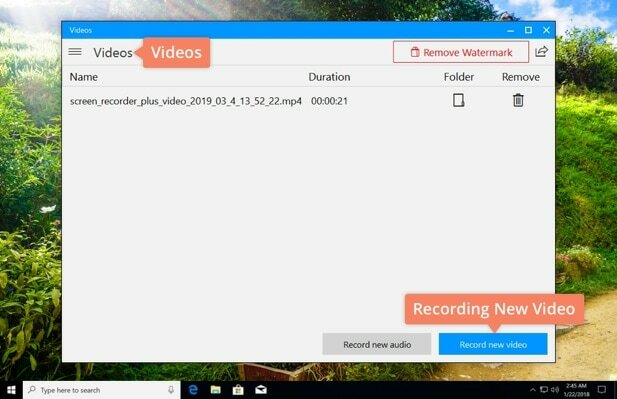 Don’t worry if the program doesn’t start recording the first time – you may need to update Windows or just restart Screen Recorder Lite. When you have finished recording, click on red square in the blue panel to stop capturing. Choose the folder for your video and click OK. You cannot change the duration of the recording or cut out unwanted pieces. The only thing you can change is the name of the file. 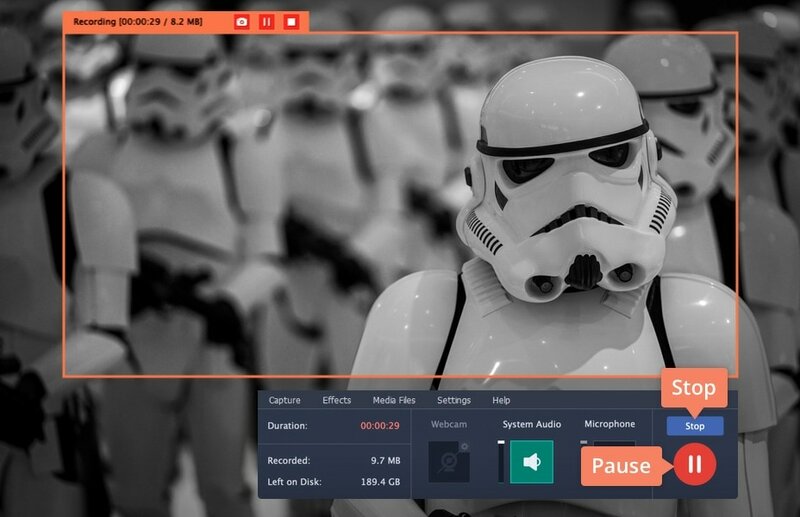 Now you know how to download a film without actually downloading it. Keep this hack a secret and tell only your closest friends!